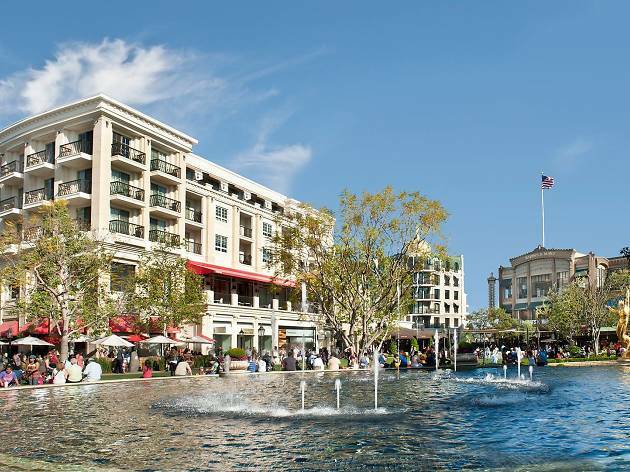 If you're looking for a great shopping experience on the East side, check out the Americana. 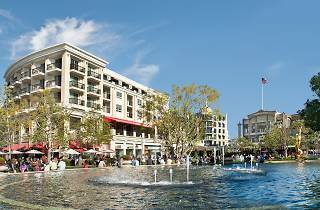 Glendale isn't particularly known as being a shopping destination, but people come from all across LA County to shop at Brand Avenue's outdoor mall—it's beautifully designed, sparkling clean and boasts bars, eateries, a movie theater, green lawn space and year-round events including free yoga, visits with Santa and the Easter Bunny and more. Glendale! 889 Americana Way, 91210, to be exact. When is the Americana open? The Americana is open from 10am to 9pm Monday through Thursday, from 10am to 10pm on Friday and Saturday and from 11am to 8pm on Sunday. What are some of the Americana's best shops? Check out our full list below. And the best food and drink? What can you do there other than shop? So much! Aside from dining and drinking, there's an 18-screen movie theater right inside the mall playing new releases. There's also a Kids Club for little ones from 11am to 1pm on Tuesdays, with free entertainment and activities for kids, rain or shine. You can take a ride on the Americana's complimentary, electric-powered Trolley (complete with cherry wood and stained glass windows) for a spin around the property. There's even an animated fountain on the lawn, with water and light shows scheduled regularly to classic tunes from Judy Garland, Frank Sinatra and more.